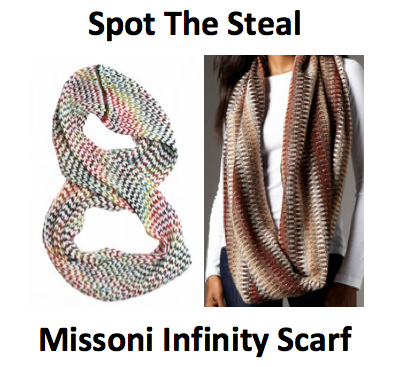 You may remember my AffordableScarves.com post from the other day, turns out they have a fabulous twin to the Missoni Infinity Scarf. The Missoni scarf originally ran for $200 before selling out, where as the Amelia Loop Scarf is under $20. Steal!